Trailer for The Conjuring 2: The Enfield Poltergeist. Director James Wan is skilled at scaring audiences. He also directed Saw, Dead Silence, Insidious and The Conjuring . He was offered the chance to direct Fast 8 , but turned it down to make The Conjuring 2. The mini-series, The Enfield Haunting is based on the same true story as The Conjuring 2: The Enfield Poltergeist. A real life 1977 haunting in North London is the basis for both stories. Each year there are countless horror films released, and most of them are of the supernatural variety. Many of them have a couple decent scares, but mostly fall flat. There is something about The Conjuring, and now The Conjuring 2:The Enfield Poltergeist that is truly unnerving. Just as the entire first film made me a jumble of anxiety and terror, the trailer for the sequel promises to give me an equal amount of nightmares. Is it because these movies are based on real events? Even that disclaimer doesn’t require further investigation because audiences do not need a film to be based on fact to be interested in them, but it sure makes it a little more interesting. Perhaps, it is the inclusion of religious history and entities, which has been terrifying us all since The Excorcist. 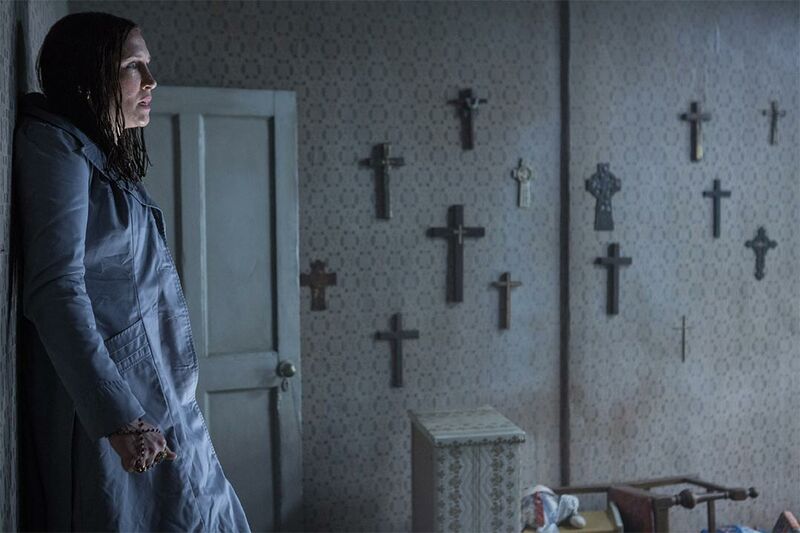 Either way, the trailer for The Conjuring 2 has it all; the return of Vera Farmiga and Patrick Wilson as paranormal investigators on a mission to assist a new family with the ghostly inhabitants of their creaky old house, a creepy child who can communicate with the dead, and dozens of crucifixes nailed to a wall only to mysteriously turn upside down…on their own! It is all good stuff, just like the first film, The Conjuring 2 has an intriguing story, menacing music and plenty of images to bring on the nightmares.